To take the whole team away. For school clubs and sports clubs. And for big weekends when you want the flexibility of not being tied to public transport. Talk to TJS. The beauty of 17-seater minibus hire? The freedom and flexibility to take a large group of people anywhere you like – free from the constraints of public transport. From big spa and festival weekends to work outings, club trips and social events, a 17 seater minibus lets you hit the road without racking up huge taxi bills. Can I drive this minibus? To drive larger minibuses like this one your driving licence will need to include category D1 vehicles. Each of our 17 seaters drives like a car, so even if you’re unfamiliar with a larger vehicle you’ll get the hang of it in no time. 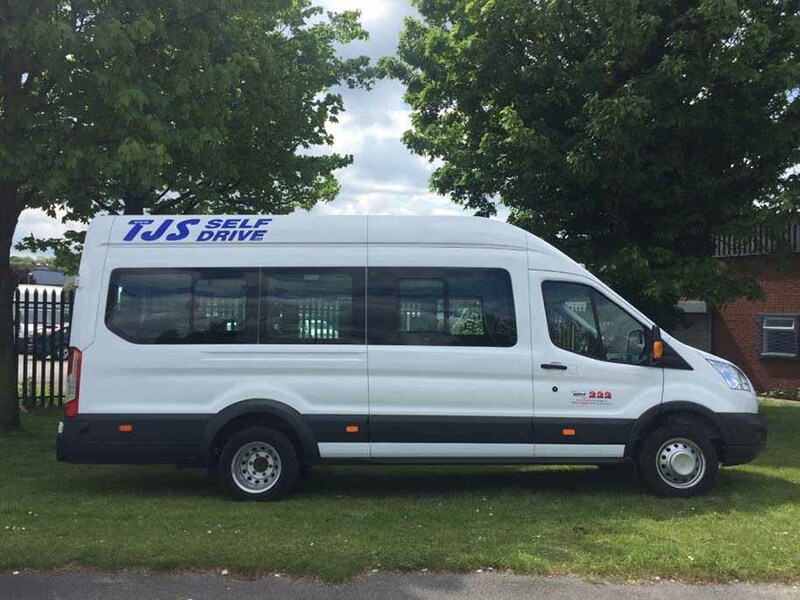 What do I need to hire a 17 seater minibus from TJS? What condition does the minibus have to be in when I return it? Can we insure a second driver? Hire your 17-seater minibus now. Complete the booking form or contact your local TJS branch on the right of this page.